Many people, who love pistachios, may remember the nuts as red years ago and perhaps thought that was the natural color of the pistachio. 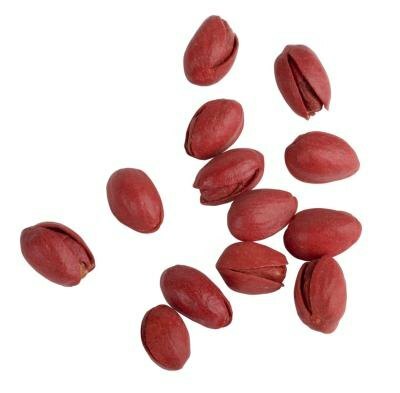 Now that pistachios are most often seen in their natural state of beige, we know the festive, red color was a dye-job all along. Another theory is that the red tradition was begun by a Syrian importer named Zaloom, who dyed his pistachios red in order to distinguish his from his competitor's. One more theory says that in the Middle East, the pistachios were left in their reddish outer husks and brined before roasting. This practice gave the shells a pink hue. The first processors who imported to the United States supposedly dyed the shells of their nuts red in an attempt to imitate this color. 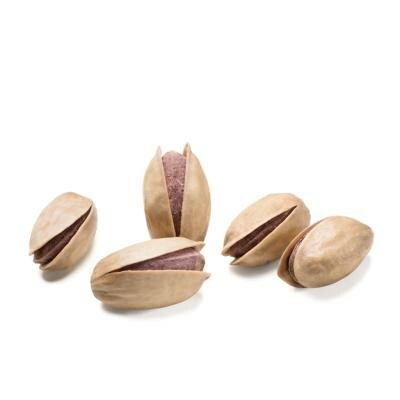 Red pistachios inside normal shell. Pistachios are native to the high deserts of Iran, Syria, Turkey and Afghanistan. Archaeologists have found pistachio remnants in ancient villages dating back 9,000 years, proving that the nuts are truly an ancient crop. The Queen of Sheba was a lover of pistachio nuts, and they were considered a rare delicacy during her time. 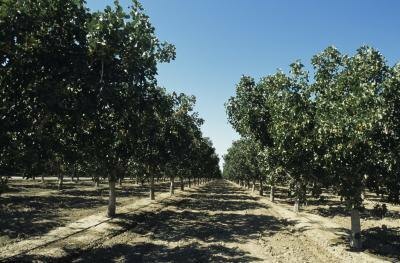 In 1976 the first California pistachio crop was harvested, producing 1.5 million pounds. Pistachios also grow in Greece, Italy and in the western United States. Pistachio trees require long, hot summers and moderate winters in order to produce high yields. 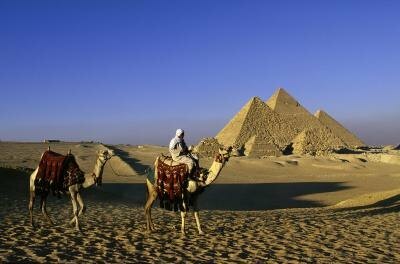 They can grow to 30 feet tall and can take between six and 15 years to begin producing. 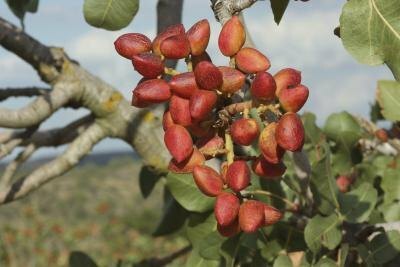 The pistachio tree is alternate bearing, meaning it produces a heavy crop one year and a light one the next. The nuts grow in clusters, like grapes, and are covered by a hull that turns reddish and splits open when the nuts are ready for harvest. 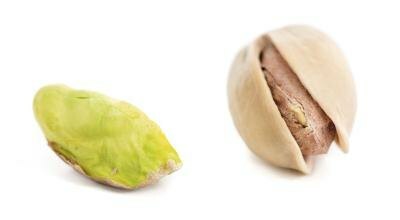 One ounce of pistachios contains 6 g protein, 300 mg potassium, 9 g total carbohydrates and 3 g dietary fiber. They have 7 g of monounsaturated fats and 4 g of polyunsaturated fats. Pistachios have only 1.5 g of saturated fat per serving, no trans fat and no cholesterol. Two pistachios one shelled, and one without the shell. Why are Pistachios Dyed Pink? Why Does Food Coloring Change the Color of Plants?